Robert Downey Jr. as the great detective getting ready to strike. From now on Fridays on this page shall for ever be known as FIGHT CLUB FRIDAYS (that is until another name can be thought of, and just to let you know suggestions are welcome). Everybody likes a good scrap/throwdown whether it be between your two favourite heroes or your next door neighbours going at it (you know who you are with the glass against the wall listening to the profanities being screamed) so it is my aim to bring you a break down of a particular tussle i choose each week. My choice of fights are not limited to any genre or form. This first post isn’t going to be your usuall Bruce Lee or Jackie Chan punch ups (although in the coming weeks i will touch upon them as they are personel heroes of mine) its going to be Robert Downey Jr. as the great detective Sherlock Holmes. 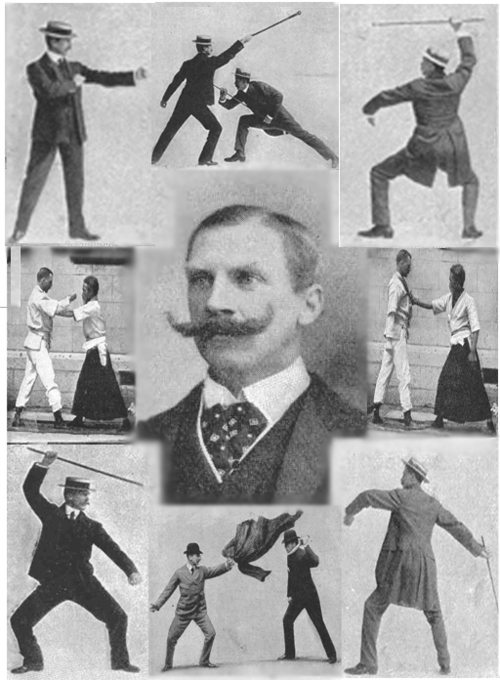 The character of Sherlock Holmes was known to use a form of martial art known as Baritsu which could be best described as an early MMA (MIXED, MARTIAL, ARTS) system it consisted of jujitsu, savate, judo and boxing. Baritsu was founded in 1899 by londener E.W. 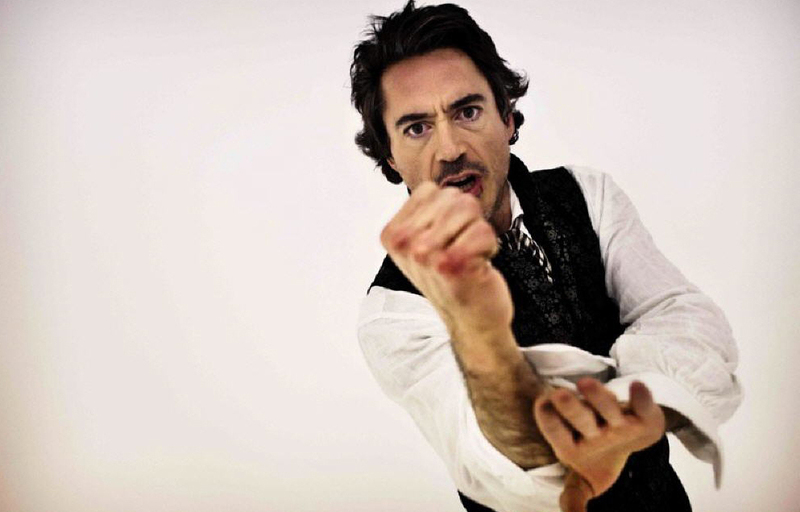 Barton-Wright the Downey Jr. incarnation of Holmes has also included wing chun into this style (which in the past few years much has seen a big spike in popularity due to films such as the Ip Man series) and seemed to make it the base of his art. This is much the same way some fighters might specialize in more than one thing eg. PRIMARY: Brazilian Ju Jit Su, SECONDARY: Thai Boxing this way they can cover all bases of combat from long distance, close combat to floor grappling. Wing Chun is a concept-based martial art and a form of self defense utilising both striking and grappling while specialising close range combat. The reason why I have chose this wing chun fight as opposed to say something from the film Ip Man which is a movie about the wing chun art is because of something that Guy Ritchie coined as Holmes Vision. With this he makes it possible to understand what is being done, why it is being done and the ramifications. Now on to the fight. We find the worlds greatest dectective (sorry Batman) in a local fight club (without Brad Pitt, sorry ladies) trading fisticuffs with local pugilist known as McMurdo. The first thing you notice is that not to make it feel too modern Holmes opening stance is a queensbridge boxing stance which was very popular at that time. This is a smart move on Guy Ritchies part as since he is the writer/director he knows what is coming next and uses that stance to lower your expectations so everything he does after seems ahead of its time. Homles merely seems to be toying with his opponent doing things such as gearing the crowd up, using slaps instead of punches in fact he seems to be making a mockery of McMurdo until he catches a clue of someone that he knows may be in the crowd. As he attempts to walk off and end the fight Holmes opponent spits at the back of his head. What follows next is what I consider to be true violence simply for the fact that every decision that Holmes makes from here on is fuled by raw emotion with the end result to be how do I hurt this person and teach them a lesson. Sherlock Holmes: That’s it, big man. You’ve won, congratulations. McMurdo: Oi, we ain’t done yet! Sherlock Holmes: Then block his blind jab, counter with cross to left cheek. Discombobulate. Sherlock Holmes: Dazed, will attempt wild haymaker. Employ elbow block, and body shot. Block feral left, weaken right jaw, now fracture. Sherlock Holmes: Break cracked ribs, traumatize solar plexus, dislocate jaw entirely. Sherlock Holmes: In summary: ears ringing, jaw fractured, three ribs cracked, four broken, diaphragm haemmorraging. Physical recovery: six weeks. Full psychological recovery: six months. Capacity to spit at back of head: neutralized. I myself have done a bit of martial arts on and off for years with wing chun being the last one that I studied so its pretty exhilirating when watching Holmes say that he is going to dislocate McMurdos jaw and knowing what move he is going to execute to pull it off (its called Bong Sau or wing arm in english). It makes sense as to why Holmes has been given the wing chun as his defense as it clearly works with the way how his brain operates and allows us visually to experience what he is thinking (the same technique is used when he is figuring out how crimes are commited). It is a break down upon break down of what can only be described as a game of chess in which you have to be at least two steps in front of your opponent. You know whats going to happen if you kick someones knee or incapcitate their shoulder, by doing all of this Holmes is essentailly moving his chess piesces around the board until he decides to check mate. If you havent seen this film I suggest you go and see it as soon as. The past few years have been very favourible to the great detective and this is just another version which does justice to its fans of the books and the tv series. My dream fight would actually be a three way beween the Jonny Lee Miller, Benedict Cumberbatch and Robert Downey jr. versions of Holmes. But one can only hope. A poster for the fighting art of Baritsu.